The United States of America is an absolutely beautiful country and one of the most geographically diverse places in the world. From southwest desert, western plains, mountain ranges, to green rolling hills, there is no shortage of sights to behold year round. The most awe-inducing spots to visit can require hiking and real physical dedication to see. However, some of the greatest views can also be seen from the comfort of our air conditioned vehicles while listening to America the Beautiful on the radio. Maybe you’d just like some awesome scenery to see from your convertible, or need a touring route for your motorcycle trip. 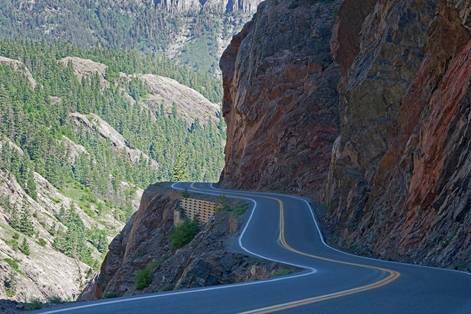 Break out the garage queen because here are 19 of the most scenic drives in America. 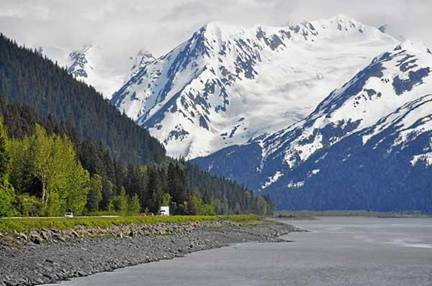 The Seward Highway in Alaska runs 125 miles from Anchorage down to the town of Seward. Mountain views and peeks at rivers and Pacific bays throughout the journey consisting of routes AK-1 and AK-9 make for a rejuvenating atmosphere. If you’re planning to soak up the whole experience and go during the snowy months, make sure to prep your vehicle. You should at least know how to combat the minor problems that could rain (or snow) on your parade. Formally known as Arizona State Route 179, the Red Rock Scenic Byway runs from exit 298 off of I-17 about 15 miles up to Sedona, AZ. 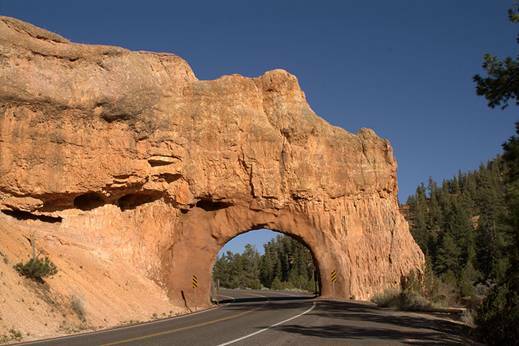 The road travels through the natural red rock and sandstone formations of part of the Coconino National Forest. 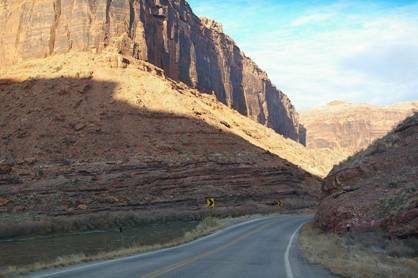 Red Rock State Park is nearby, however, the All-American Road designation rightfully calls Route 179 “a destination unto itself”. While basking in the beauty of the landscape you may be tempted to hit some high speeds on that massive straightaway. 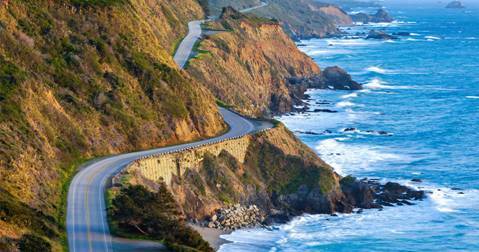 California State Route 1 stretches 655 miles across nearly the entirety of Cali’s coast. The Pacific Coast Highway portion, arguably the most scenic, starts in Las Cruces and will take you to SR 1’s southern end in Santa Monica. The coastal views of the highway have been used in numerous big budget movies and rule over desktop background collections like the giant that it is. It doesn’t just live up to the hype in person, it exceeds it. California is so beautiful that it made the list twice. State Route 120 runs 153 miles, not including the section that goes straight through Yosemite National Park. 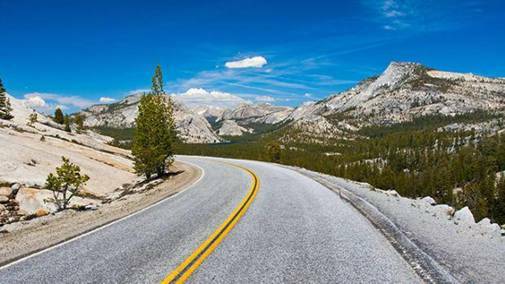 This stretch of road is known as the Tioga Pass. You’ll carve around mountainous landscape dotted with lots of cedar and fir forests. The Pikes Peak Highway and Toll Road was first constructed in 1915. 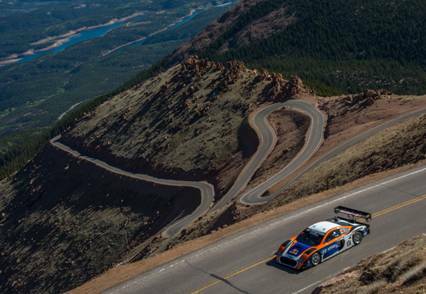 Every year since then, it has been the host of the Pikes Peak International Hillclimb where competitors in vintage cars, motorcycles, and legendary rally cars have dominated the mountain road. The gravel was controversially paved in 2011 to minimize the pollution of small rocks in the landscape. This slightly changed the dynamic of the race, but we still see purpose-built race cars fly up the mountain every year. From Cascade, Colorado to the summit of the mountain are 19.5 miles of roadway and 162 corners. Parts of the road can close for bad weather and snow removal. However, it does technically stay open year round. If you’re planning a visit, here’s a head’s up on toll prices. Motorists will also need to prepare for the drive. There are no gas stations on the route. On the descent, drivers must stop at brake check stations to prevent dangerously high brake temperatures. Some say this stretch of U.S. Route 550 got its name because it cost a million dollars to pave in 1920. Maybe it’s because the views are worth a million dollars. Perhaps there are a million dollars of gold ore in the pavement? Any way you decide to look at it, everyone can agree that it is one spectacular place to be. The “Million Dollar” portion is 25 miles long and connects the towns of Silverton and Ouray, Colorado through the Red Mountain Pass. Just like with Pikes Peak, it is recommended that you familiarize yourself with mountainous driving skills before embarking across steep downgrades with treacherous drops just a glance out the window. The views are all the more mesmerizing in the winter months when the road is open, but it takes real dedication to see. In the 25-mile stretch, there are 70 different named avalanche paths. U.S. Route 1, the Overseas Highway, is 113 miles of ocean roadway connecting the Florida Keys to Miami. Drivers can gawk at the tropical savanna environment and go straight across the Florida Reef. The route was previously used for a railroad, but was repurposed as a road after the being heavily damaged by a 1935 hurricane. 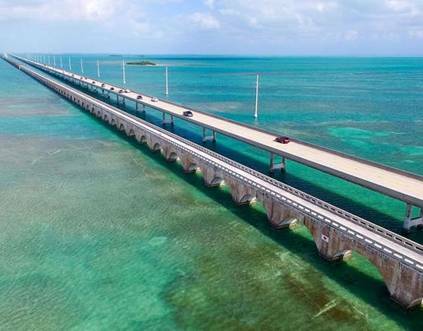 For tourists heading through the Florida Keys, the Overseas Highway is the main attraction. 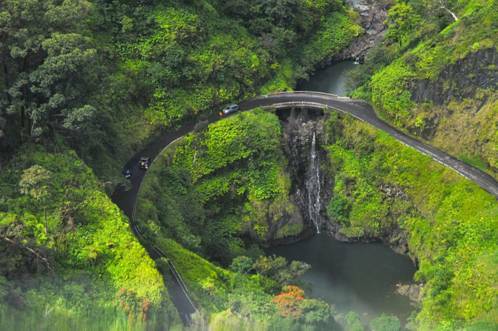 The Hana Highway winds through 64 miles of tropical rainforest on the Hawaiian island of Maui. On Highway 36 and 360, there are about 620 curves between Kahului to the town of Hana. The speed limit stays at about 30-mph, and there are almost 50 one-lane bridges you may have to wait in line for, which gives drivers plenty of time to admire the tropical bush and massive elevation. The 18-mile portion of Route 6 in Massachusetts links Cape Cod to the mainland. The roadway goes straight through the National Seashore, then ends at the beach in Provincetown. After the short drive, you have the option of filling up the rest of your day with a whale-watching boat tour. Most of the routes on this list are tourist attractions and you can expect to deal with traffic on holiday weekends. But what if people just aren’t your thing? 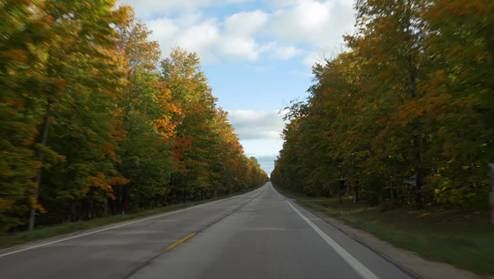 After crossing the Mackinac Bridge into the upper peninsula of Michigan, merge onto Route 123 for a 96-mile drive of thinly populated forest. The two-lane highway runs along the coast of Lake Superior, through three state parks, and links up with many scarcely traveled pine forest backroads. 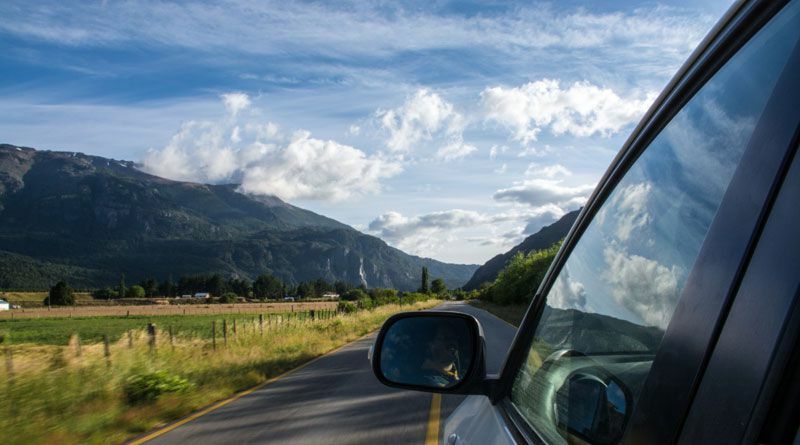 The mild summer climate makes it a heavenly route for open-air driving. 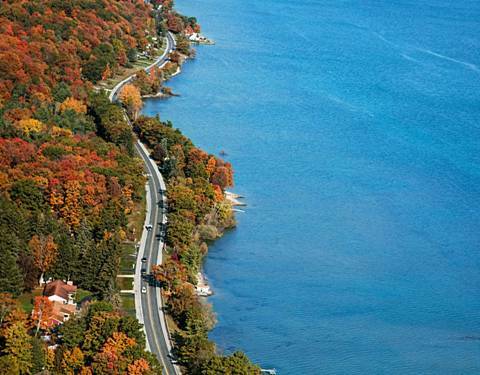 Down in the lower peninsula of Michigan, consider taking a cruise along Lake Michigan’s coast on the M-22. The top starts in Traverse City and snakes around the pinky finger of the Michigan glove shape. The road meets up with Route 31 after 116 miles. 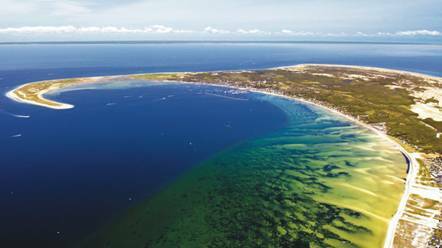 The best stop to make along the way is undoubtedly in the Sleeping Bear Dunes area, where you can walk across the golden sand dunes. Soon after the south end of the route, at Silver Lake State Park, you can even take offroad vehicles on them. 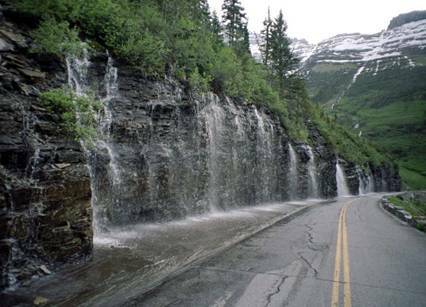 Right in the middle of the Rocky Mountains, in Glacier National Park, is the Going-to-the-Sun scenic mountain road. It crosses the Continental Divide at its peak elevation of 6,646 feet. It’s extremely treacherous in a multitude of places during the 50-mile drive. During the winter months, more than 80 feet of snow can pile up on the road, which take about ten weeks to plow, even with equipment that moves 4,000 tons of snow per hour. Needless to say, it is often closed during the winter months. 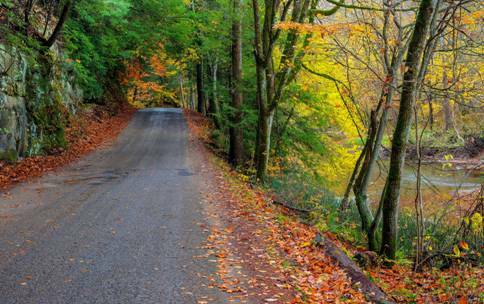 Famed as one of the best places to see fall foliage, the Hocking Hills Scenic Byway is beautiful year round. This portion of Route 374 is about 26 miles of two-lane scenery, quant small businesses, caves, creeks, and cliffs. The area is regarded as one of the best motorcycle destinations in the U.S. 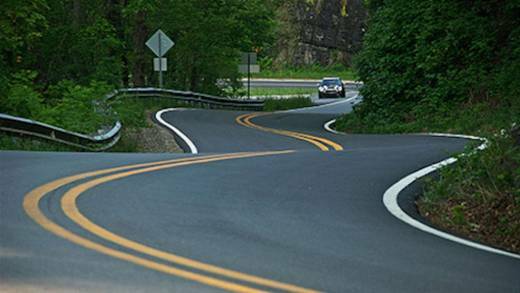 The Tail of the Dragon (also known as Deals Gap) is an 11-mile mountain pass known for its technical curves and high accident rate. The road is a subsection of US Route 129, located at the Tennessee-North Carolina border, next to the Great Smoky Mountains National Park. The 318 curves and lush scenery have made it a famous destination for sports car and motorcycle enthusiasts to push their vehicles to their best potential. Can you conquer the dragon? Northern Utah has that salty lake and the flats where people set speed records. What about the southern region? Route 12 is the place to be. This 122 miles of road runs around, on top of, and straight through rock formations. Other attractions include Calf Creek Canyon, Red Canyon in the Dixie National Forest, and the Grand Staircase-Escalante National Monument. The landscape looks like it leapt straight out of a spectacular Western movie. Over in the eastern region of Utah is a 44 mile piece of roadway that tangles through the Colorado River in an expanse of red rock formations, massive cliffs, and arches. If you’re feeling disappointed at the end of the road (you won’t be), never fear, the south end of Route 128 borders Arches National Park, where you can head up Arches Scenic Drive and spend the rest of the day at scenic stops along the way. 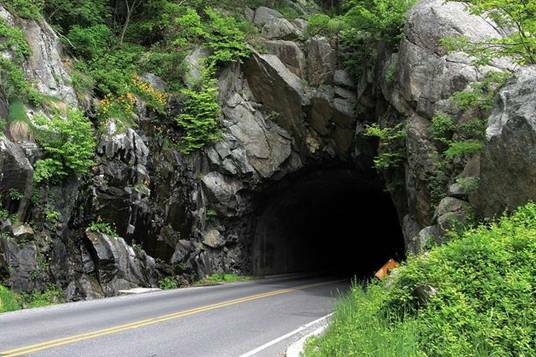 Skyline Drive is two lanes and 105 miles of roadway upon the tippy top of the Blue Ridge Mountains. 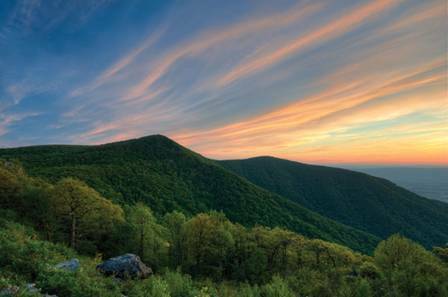 The road stretches across the entire length of the Shenandoah National Park, offering 75 scenic overlooks of the valley. We don’t believe that just one photo does it justice. 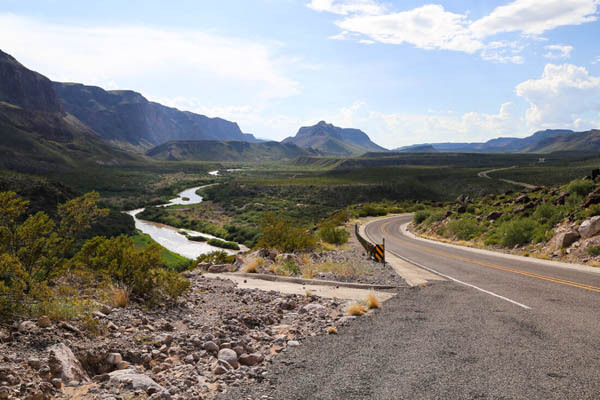 FM-170, known as simply “River Road” lies adjacent to about 100 miles of the Rio Grande at the United States-Mexico border. The road runs from the West Texas town of Candelaria through the city of Presidio. The scenery is a wonderful mix of desert, green, and mountains. 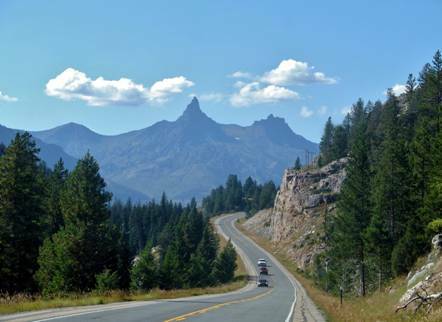 The Buffalo Bill Cody Scenic Byway starts in Cody, Wyoming and ends at Yellowstone National Park, winding through many mountains and much forest foliage along the way. The route also comes close to Buffalo Bill State Park, renowned for camping and trout fishing. 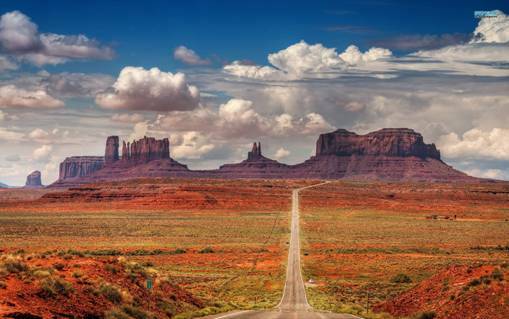 There you have it, 19 of the most scenic drives in America. This year in 2019, you shouldn’t have any shortage of road trip photo op ideas. Plan ahead and drive safe! Next Next post: How to prepare for a gap year in your career? 19 Scenic Drives for 2019 is a beautiful post, keep it up!